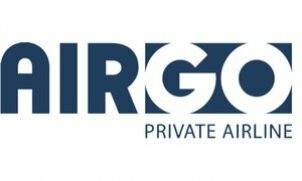 AirGO is specialized in operating the most modern and efficient aircraft on the market of light and midsize jets and we offer today the biggest Piaggio Avanti fleet in Europe. COMFORTABLE Spacious as a mid-size jet, the Avanti is a unique aircraft that amazes every passenger with its inviting cabin with a 1.75 m ceiling allowing for comfortable movement and a gangway to walk through. The cabin noise level and vibrations are as low as in modern jets. With a convenient restroom with window, lavatory and wardrobe, the Avanti is the ideal airplane that can also be used for long flights. EFFICIENT With a maximum speed of 400 kt or Mach 0.7, the Avanti is as fast as a light jet. At the same speed, however, the Avanti only needs about 60 % of the fuel thanks to its patented Three-Lifting-Surface Configuration and its non-cylindrical low-drag fuselage. The Avanti saves money and time, but it also helps to protect our environment and energy reserves SMART & SAFE The Avanti offers better performance, more comfort and greater efficiency at a lower price than any other business aviation aircraft available today. And its three lifting surfaces guarantee a safer and smoother flight. Avanti customers are enthusiastic. Why pay a lot more for a mid-size jet, if you can have the Avanti with its excellent and safe technology? DELICIOUS AirGO uses the best aircraft in its class and complements it with top service and catering during the flight. Breakfast, lunch or dinner – wine or juices – each meal and drink is freshly prepared and selected with the help of master chefs and excellent delicatessen shops and restaurants. Served on fine china by the crew, simply relax and enjoy.